Belzer Middle School is trying to make sure its students don’t go home hungry. 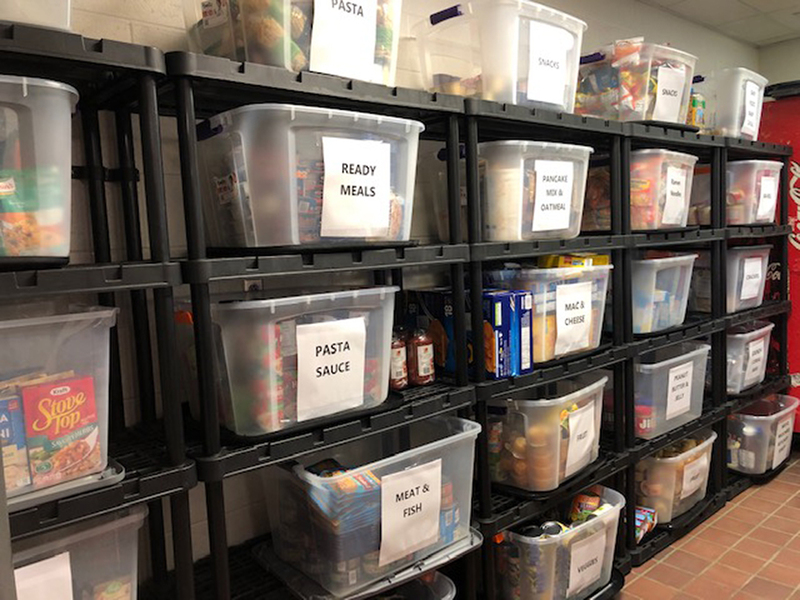 Principal Andrew Harsha recently launched a food pantry inside the school after encouragement from his wife, Jessica, and support from the school’s staff. Harsha said he noticed other schools in the Lawrence Township district and the central office operate internal food pantries, and he wanted to bring the asset to Belzer. Harsha said students may get breakfast and lunch at school but sometimes might not have meals at home in the evenings, on weekends or during school breaks. Harsha, who has been the principal at Belzer for four years, said he’s been considering the pantry for several years. He credited his wife for convincing him to launch it. Harsha received immediate support from his staff. Counselors began to identify families in need. The first time Belzer Middle School students took food home was Dec. 20, 2018. The goal, Harsha said, is to have enough food to fill backpacks for kids to take home on weekends. Out of 1,200 students, 37 were sent home the first week with food. The food is in backpacks for discreetness. Teachers donated items the first week. Harsha said a list of needed items is available on Belzer Middle School’s social media pages and on Amazon Wish List. “I thought it was neat our teachers were all generous and bringing in items to help get pantry stocked for the first time,” Harsha said.